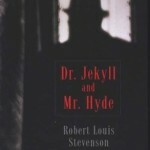 With a new 20,000 Leagues Under the Sea, two new Sherlock Holmes, and various other new movies based on classic literature on the way, it should come as no shock that a new movie based on the Robert Louis Stevenson novella The Strange Case of Dr. Jekyll and Mr. Hyde is on the way. The project already has Keanu Reeves lined up to star, and Justin Haythe (Revolutionary Road) penning the script. 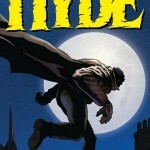 Dr. Jekyll and Mr. Hyde tells the tale of a doctor who discovers a way to alter himself, allowing his evil, inner-self the ability to take over in vicious fashion. The story deals heavily along the lines of split personality disorders, but in a much more physical, visible, and scary way. The story has appeared many, many times in stage and screen adaptations — a true testament to the simple and unique-yet brilliant creation of Robert Louis Stevenson. Two unfortunate appearances of the character were in recent lackluster films such as Van Helsing and The League of Extraordinary Gentlemen.